When you’re craving lamb, but don’t need to roast a whole leg, these tender, flavorful Marinated Greek Lamb Kebabs will fit the bill. The Mediterranean flavors work perfectly with lamb, and these Greek kebabs are destined to become a family favorite. I am the daring eater in our household. A few of my forays away from the standard meat and potatoes my hubby grew up with have become his new favorites. Rice and pasta were infrequent on his childhood dinner table, and ethnic dishes were pretty much non-existent. Bill loves lamb, thanks to an introduction to an Easter leg of lamb my mom served early in our marriage, studded with garlic and roasted to perfection. But grilled, marinated Greek lamb kebabs are perfect for those times you crave lamb, but a roast is way too much meat. These are marinated Greek lamb kebabs super easy to prepare. Just make your marinade the night before you plan to grill and marinate your lamb cubes overnight. PRO-Tip: Big chunks of lamb are better than smaller ones. I aim for about 1 1/2-inch cubes so that the lamb does not get overdone as can easily occur with small pieces of meat. You also want the onions and peppers to have enough time on the grill so they cook and soften. Keeping the lamb and veggies in the marinade overnight allows the wine, vinegar and lemon juice to tenderize the lamb. The acid in those ingredients helps denature the proteins in your meats while imparting a delicious flavor (although the marinade works mainly on the surface of the meat). PRO-Tip: I like marinating in a large Ziploc bag. Make sure to seal well, so the marinade does not spill in your refrigerator. Flip the bag once or twice during the marination time and agitate it so that all the surfaces of the lamb are exposed to the marinade. We love to grill over charcoal as often as possible as the smoke provides an additional flavor to the lamb that is lacking with a gas grill. But either option will work well. Remove the lamb from the refrigerator about 30 minutes before grilling to get the chill off. Grill your lamb to medium rare for the best results. Check the internal temperature with an Instant Read Thermometer. It should read 120-125º when you pull it off the grill. There will be some residual cooking and the final temperature will be higher. Tent the kebabs with foil and let them rest for about 10 minutes before serving. This allows the juices to reabsorb and the meat to come up to temperature. I have been known to spell the word “kebab” both ways. Kebab is the more popular spelling, a Turkish word meaning sword or skewer. Cabob is also seen on occasion. And to confuse you even more, this dish is also known as souvlaki, which translates to “made from lamb” in Greek and Latin. 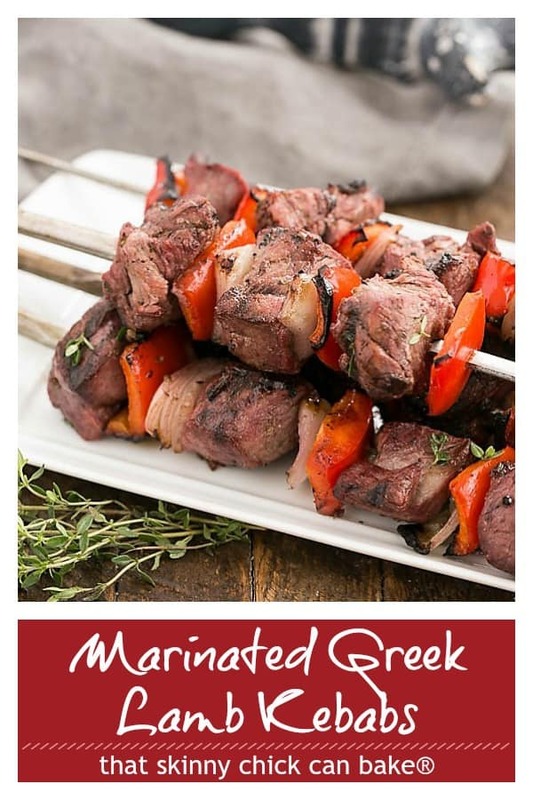 No matter what you call these or how you spell it, if you enjoy lamb, or want to try it for the first time, I think you’ll enjoy this recipe for Greek kebabs! It’s picky hubby approved!! 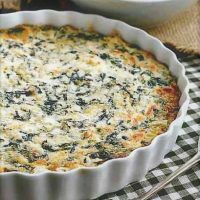 Serve it with my favorite Greek Salad with Feta, Cheesy Spinach Rice Casserole, Homemade Pita Bread and Greek Lemon Bundt Cake for dessert! If you’re looking for a leg of lamb recipe, here’s my Glazed Leg of Lamb. Marinated and grilled lamb kebabs with a Greek flair! Combine wine, vinegar, olive oil, salt, pepper, oregano, lemon juice and onion in large ziplock bag. Add lamb and mix to combine. Marinate overnight in the fridge. Skewer lamb chunks with slices of onion and bell pepper. Grill to desired doneness. Adapted from Greek Cookery Marin. Recipe first shared in 2011. Photos and text updated in 2019.
well curry or not, this still looks uber delish!!! 🙂 Happy friday! Great alternative to the curry. These look fantastic! 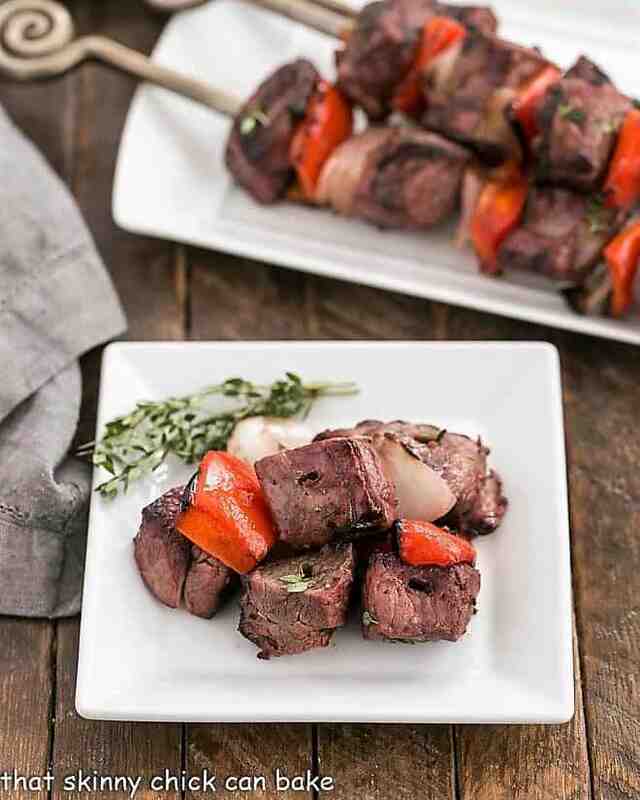 We love lamb here Liz and these kebabs rock! 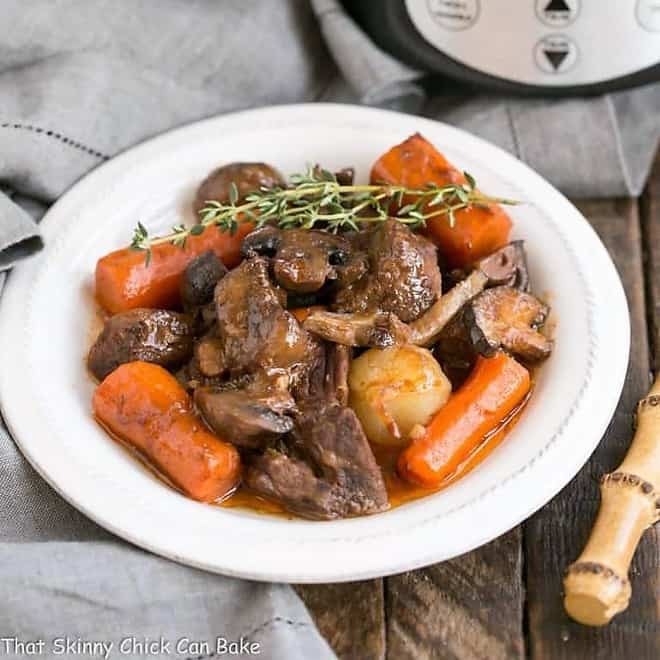 I have 2 lbs of lamb cubes in the freezer and hope to make this next week when our nest is almost full. Lovely photos! Yum. Souvlaki takes me back to Cyprus. Happy memories! This looks fabulous! I do love lamb, but if one doesn’t like curry it can be too much to even have it once in a lifetime! I love your lamb cabobs! I’m imagining the fragrant aromas and I think I would like to give this a try. that should taste real nice , it has a fantastic look. At the end of the day, we have to make it work! These look absolutely lovely & I am sure they were a hit. Rice, lamb and curries are all those we eat to max at home though I try to cut down on lamb but you bet this kebab will bring glory to both my hubby and me. I like this change from your baking for a change, nice, nice and more nice. If YOU like lamb, you would love the FFWD recipe! But I love your kebabs anyway – YUM! Beautiful, you I am sure know that lamb is my all time favorite meat I dont get to eat it often enough being on a strict cholesteral diet stinks, you just drew me in, love the kabobs, I marinate them for days sometimes they just fall apart, boy the good ole days when I was younger eating a whole plate of these bad boys! 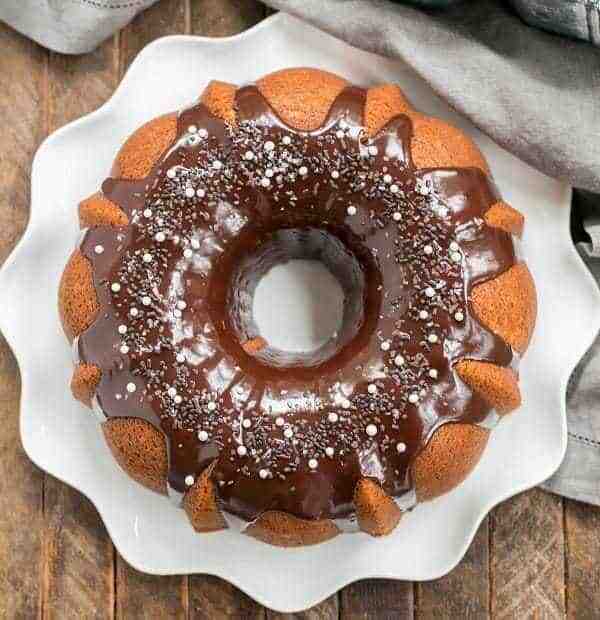 Yours are fabulous, and this is what I am going to be eating as soom as I am regulated, my mouth is watering! 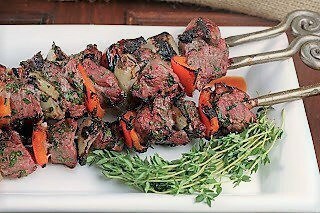 I’m the lamb lover in this little family, and skewered is the only way I can get Mr. Rosemary to eat them! (It took me a few years to get him to like fresh mushrooms.) Love this! Madras curry is really mild, maybe he wouldn’t notice? ; ) But who doesn’t love a kebob!! PS the real Greek salad, their national dish, is when you slice cucumbers and mix them with sour cream, garlic and some fennel. These kebabs look so good! The kebab and the salad looks so appetizing , really fab . Have a great weekend Lizzy :D.
We do not come by lamb very often but are planning to go to a specialty market soon an this is a delicious reminder that I need to pick up lamb. 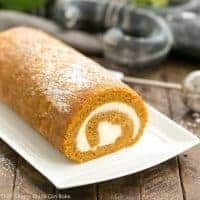 My husband loves it and this looks like a tasty way to prepare it. Enjoy your weekend Liz. Husband got more daring when he married me. This is definitely something I would love to do and love the rich marinade to tame the lamb. I also am intrigued with Dorie’s curried dish. So many dishes so little time. I did sigh with the mention of grilling – that will be few and far-between until April! I’m not a fan of curry either…. but I’m also not a fan of lamb ;). I know, I’m no fun, but that salad… I could eat the whole thing by myself…. yummo! Oh so yummy!!! My mouth is watering at the very sight of these! Sounds like a fabulous meal with that salad!! 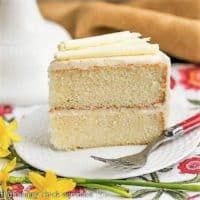 I’m SO glad you posted this recipe! I haven’t had lamb since I was a kid when my mom cooked it, but she likes everything WELL done and frankly I’m not a fan of well done lamb. 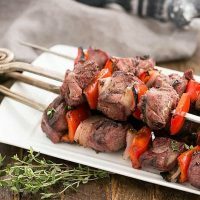 Just recently I had some lamb cooked “properly” and LOVED it, so I’ve just been on the lookout for lamb recipes to try. This one is right up my alley… love it! MMM!! I was so excited about the lamb I didn’t notice the salad recipe… wish I could buzz twice!! These kabobs have my mouth watering. I would love to give these a try. Yummy! Estas espetadas estão com aspeto bem suculento e delicioso, gostei muito! Your Lamb kebabs have made me more hungrier and I wish the day to be over soon because my husband’s friend is cooking lamb shanks (all men cooking) today. I was not wrong when I first spotted your blog while looking for salmon recipe. Your presentation is very pleasing. How about a groan of pleasure from over here as affirmation? I adore lamb. Lamb kebabs even more. Souvlaki three times as much. Even though I’d have gone for the curry dish, I’d eat this one too. In fact, even more so because I think the curry would have overpowered the lamb flavor (and that would have been criminal). This looks delicious. These sound divine, Liz! I have never cooked with lamb but I love how you did it here! Lizzy, I think I love you! I LOVE Lamb… lots and lots. Did I mention that I love lamb? yeah… cause I do. And it’s hard to find good recipes for it when there are the rare times I can manage to afford it lol. So this recipes makes me very happy… in a lamb loving sort of a way. This looks great. I’m behind and just caught up on the soup from last week. I’m still thinking about how I want to do the lamb dish…actually thinking of a beef sub, but your idea in this post looks great. What a great line up of spices! I’ve made and eaten lamb once and botched it horribly. I think I’m ready to try again. Thanks for the shot of confidence with your recipe. Looks so good. Beautiful photos. Seems like everyone went their on way this week. Love your version too and glad you can serve lamb on the dinner table. The heck with turkey, I want this for Thanksgiving! Looks amazing. 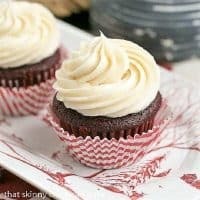 I still think Dorie would approve–these look wonderful! Beautiful, Lizzy! I’m not usually a fan of lamb, but the seasonings on this sound so great, I think I would give these a try! Eeek! I find myself getting hungry looking at your photos and reading the recipe for the lamb kebabs. Yum! Hi Lizzy! I’m sorry your hubby wouldn’t eat the curry…I adore the stuff, but it usually has cinnamon in it and I’ve blended without and it is NOT the same! That being said, I’m not a huge fan of lamb, but you made this look SO appetizing I wouldn’t hesitate to try it! …the hallmark of a good dish! I’m not much of a lamb eater because I didn’t grow up eating it (Northern island Hokkaido is famous for eating lamb in Japan, but that’s pretty much it). My poor husband would love this kind of dish. Your dish is beautiful too. I need to train myself a little more with lamb. I am a fan of lamb and your lamb kebabs looks so mouthwatering to me! I honestly prefer it more than lamb curry! The Greek Salad sounds good too! Your lamb kebabs look super delicious, I am a huge fan of Greek flavors! I love lamb! Your kebabs look so delicious. Drooling! 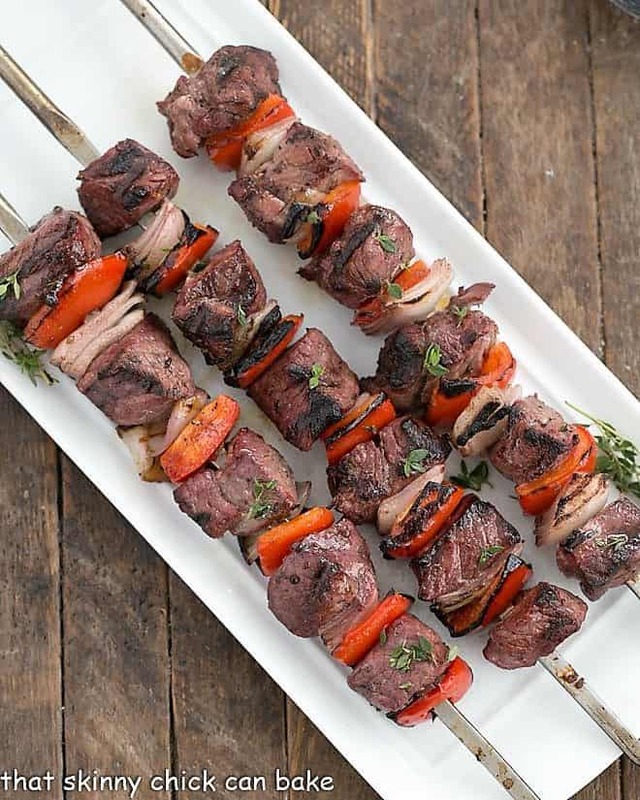 Lamb is my favorite meat and my favorite way of eating it is grilling on skewers. Never tried marinating it with wine and parsley though. I often do it with olive oil. Thanks for th idea! Lizzy, I’m not a huge fan of lamb, but your lamb kebabs look so delicious! Lamb is a favorite of mine and my husbands. I actually wanted to try the FF recipe but this week it was impossible. Love your kebabs! They look like something I would enjoy for dinner tonight. Have a lovely Thanksgiving! I haven’t had lamb on forever! My husband’s not a fan, so I only make it once in awhile when he’s deployed. But somehow it always seems to get pushed aside… maybe it’s high time I make some! These are beautiful kebabs. Do you know I’ve never even tasted lamb? I think I’m going to put that on my list of things to try next year! I still have never cooked with lamb. I’ve eaten it a couple of times a long time ago though. This is the way I’d like to try it though. These kebabs look great! I’ve been obsessed with anything greek recently so this definitely fits the bill! I appreciate anything unexpected at this time of year. This sounds delicious! 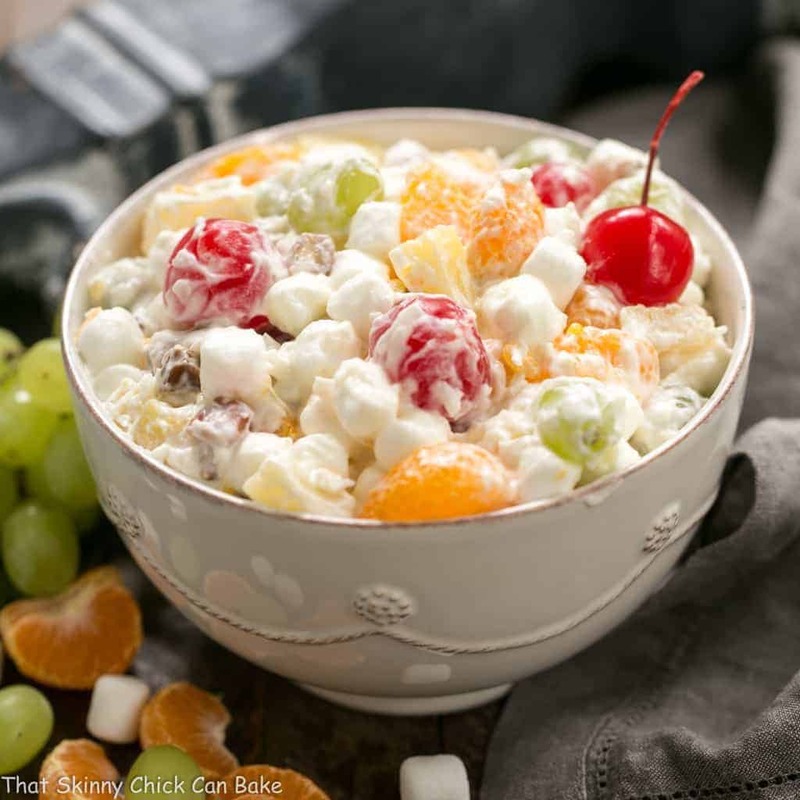 Love all the flavors and think it would be a nice break from all that is ordinarily on our holiday menus! 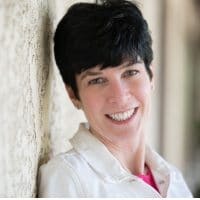 If you can’t cook along with Dorie, this looks like a great alternative! These kabobs look gorgeous! Great photos and presentation! These look great! I think I get hungry every time I see kebabs. Ooo easter was the last time I had lamb but I love it so much and your kebabs look so tasty! My mouth is salivating from these pics. I haven’t had lamb in so long and this all sounds phenomenal. Una cena da re!!!! Spiedini e un’insalata saporita e colorata!!! Un bacio e felice settimana!!!! I love lamb! 🙂 Unfortunately, my family does not, so I don’t eat it that often 🙁 I’m sure I’d love these kebabs- they look so tasty and delicious! Beautiful, and delicious lamb kabobs, which I haven’t made in years, now is enticing me to make it again. Love the kabobs, and of course, the Greek salad. Yumm! A perfect Sunday meal! I love lamb and I love kabobs…so this is the perfect meal…I am officially hungry and I just ate breakfast. Thanks for sharing! 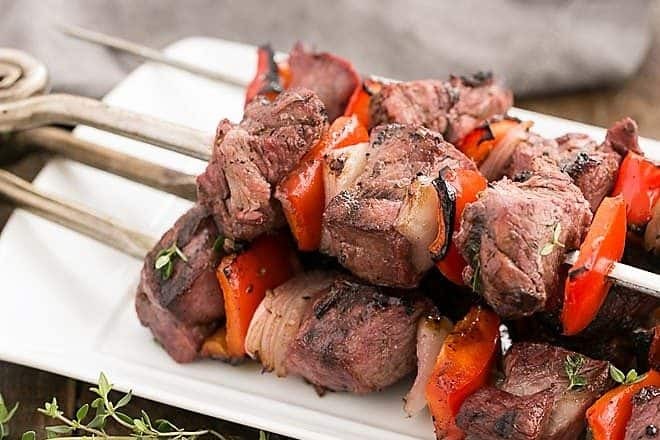 Lamb Kebabs are one of Adam’s favorite foods as they remind him of a restaurant he and his brother used to frequent when they hung out in Paris. Turkey day is the next big menu but this will be on the following week’s dinner schedule, a nice surprise for a sweet man. Happy Thanksgiving to you and yours! Remarkable recipe Lizzy. I love all the pics too. I have never cooked lamb. This makes me want to. Mouthwatering! 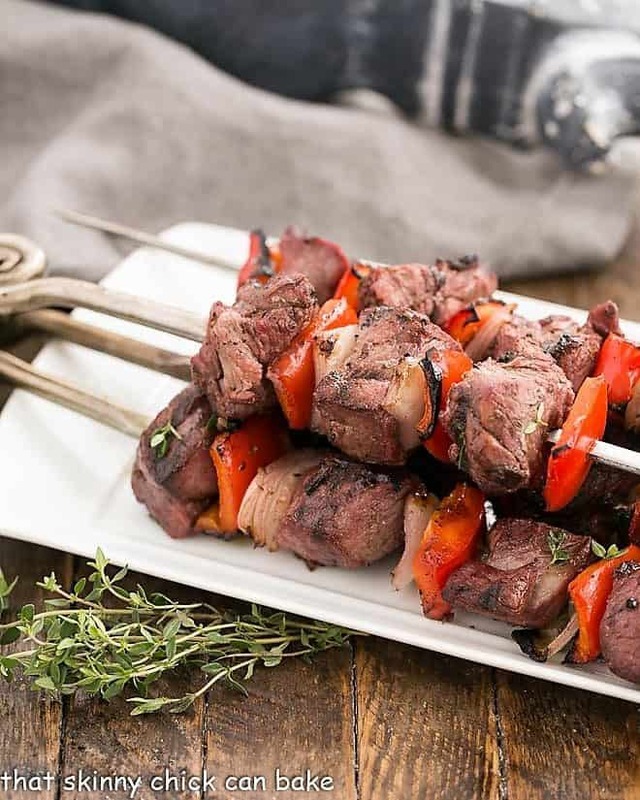 I have never prepared kebabs with lamb…and can’t wait to try it! Thanks, Liz! I’m not a fan of curry, nor lamb but my family would like this. I should make it! Love lamb! It’s my favorite red meat. This is such a nice, easy way to prepare it. And wow, I’ll bet this is SO flavorful! Thanks. Great recipe to revisit. And good point one can enjoy lamb without shelling out on a large expensive cut. The kebabs look irresistible, Liz.